Adapts to fit smartphones, tablets, notebooks and desktops. Easily add your own logo. Easily use your colors with the theme customizer. Add an eye catching donation bar to your home page. Include donation widgets on your inside pages. Direct your donations to PayPal or a custom URL. Collect donations for as many projects as you’d like to. Raise money or collect anything and show your progress toward your goal. Add links to 18 social network sites. Connect visitors to your Facebook page with our Facebook widget. Show your latest tweets with our Twitter widget. Our staff section supports social networks for your staff members too. Create lists of your organizations sponsors. Easily display their logos, names and contact information. Use a sponsor widget to show them in your sidebars or on your homepage. MailChimp widget for newsletter sign up. Responsive video widget, recent post widget, and a featured page widget. Create lists of your organizations staff. Add an image and a bio about each one. Include contact information and links to social media profiles. Foundation also has built-in support for Jigoshop and WooCommerce. 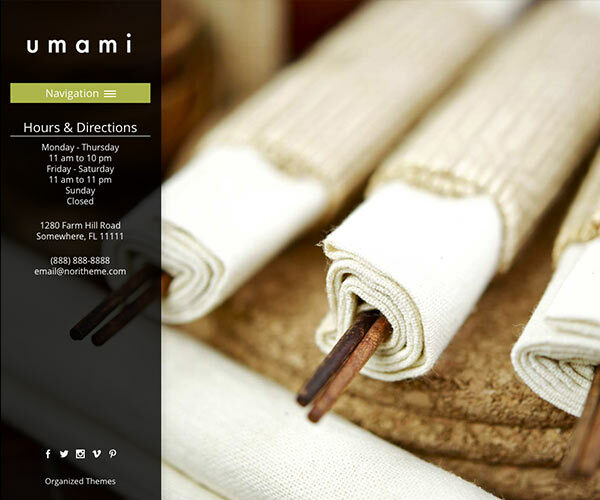 Sell items to support your organization right from your website. There’s more to Foundation like featured images, video, slideshows, lightbox galleries and even a press release section, too. Plus, you get amazing support that you can count on. updatedsmall fix for the Mailchimp widget. 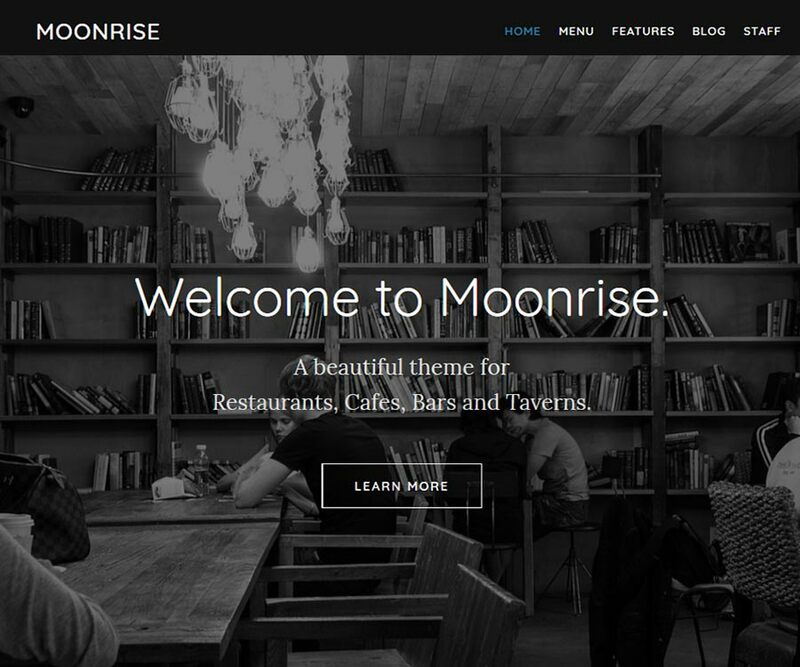 updatedstyle.css - Bug fix: Mobile menu was not responsive and caused the menu to become 2 rows. updatedpage-press-archive.php -- changed content option to allow for read more link. updatedincludes/post-meta.php -- wrapped each item in span to allow for styling. updatedstyle.css -- tweaked right hand nav search box fit -- reformulated action widget "bar" layout for more flexibility. updatedstyle.css -- added basic table styling. updatedfooter.php -- added class to Organized Themes links. newincludes/widget-page.php -- added widget to show content from a page. It's intended for the home page. updatedadded class="entry-title" itemprop="headline" to all page/post titles. updatedincludes/widget-twitter.php -- removed unnecessary widget. updatedincludes/widget-posts.php -- fixed path to post meta (changed from layouts to includes). newoptions.php, staff.php, sponsors.php -- added option to set slug of staff and sponsors. Wrapped registration of post types in if statement. newAdded tinynav.js for smaller than iPad screens. page-sponsors.php for page template for sponsors. updatedAdded automatic Theme Updates changelog.txt -- moved changes from readme.txt to separate file. 6 more Google fonts. shortcodes.php -- for buttons and the lead in option. updatedChanged number of slides displayed on the home page from 5 to unlimited. updatedTook out tags as meta keywords. Fixed CSS bug that caused Donation button to float to the left when using the URL option. updatedAdded fixed height to top of home page for IE 7 to fix spacing issue there. Also added width to MailChimp button in IE 7. 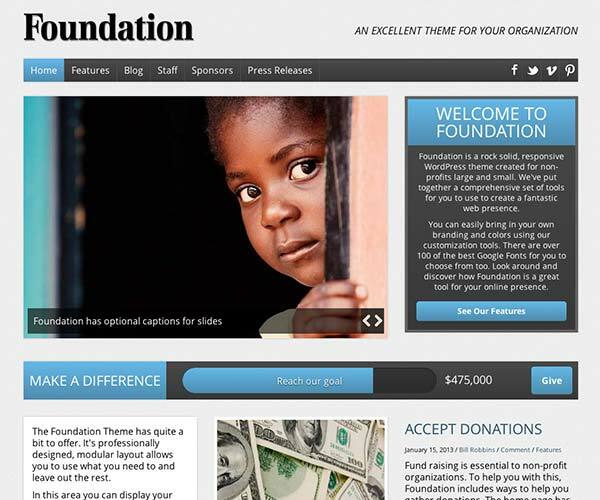 Foundation is a rock solid WordPress theme that has been created from the ground up to serve the needs of non-profits both large and small. 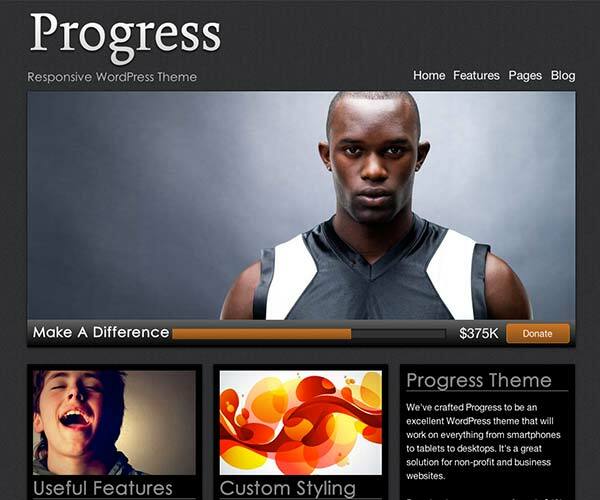 For 2013, the theme has been completely rebuilt from the ground up to give you an amazing site. It will be receiving a redesign in 2018 or 2019.